LONDON — Sit at the back of the movie theater, and it's possible to see the appeal of ScreenX, the latest attempt to drag film lovers off the sofa and away from Netflix. Instead of one screen, there are three - one at the front, and two on the sides - to add to the immersive experience you can't get from the home TV. First adopted in South Korea in 2012, the system is being launched in the U.K. and theater chain Cineworld plans to add over 100 new screens to the worldwide count of 151. The technology is the latest attempt by cinema operators to attract film viewers amid the growing popularity of online subscription services like Netflix and Amazon Prime. They've ranged from 3D screens launched almost a decade ago to ultra-high resolution IMAX projectors and 4DX - which features moving chairs and real-life special effects like snow falling on the audience. The focus on innovation has helped in the past. Since 3D was popularized at big cinema theaters in 2009 with the release of films like James Cameron's "Avatar," revenue has grown. Global box office revenue has increased by $14.4 billion in the past decade to $40.6 billion, according Motion Picture Association of America. But that growth seems to be fading and movie theaters are being overtaken by internet video. Revenue from internet video like Netflix is forecast to be the fastest growing part of the entertainment and media industry through 2021, according to consultancy PwC. Its estimated annual growth of 6 percent compares with a projected annual drop in cinema of 1.2 percent. It's unclear whether this latest innovation will help or stand out. 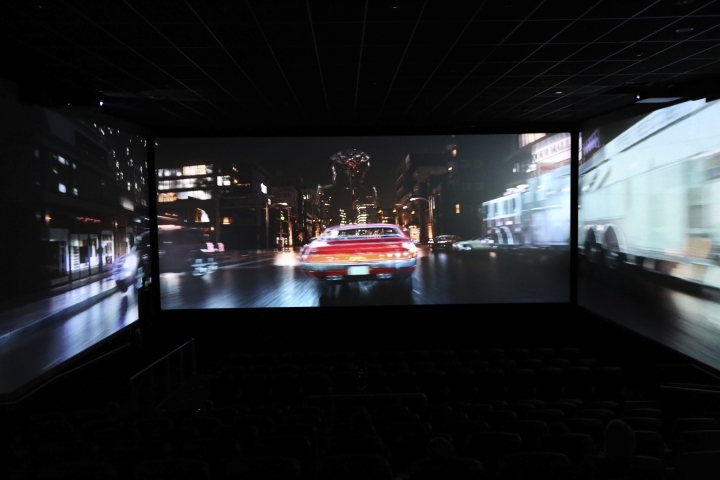 Cineworld says the idea is "it makes you feel like you're sitting in the action." Robert Mitchell, a film journalist for Variety magazine, notes that was the point of 3D in the first place. "In 2009, when films like 'Ice Age' and 'Avatar' were coming out, it was the great new thing," he says. "That lasted for a couple of years until people started to realize that some films were being made that didn't really use the enhancements well. And it started to put people off going." Love it or hate it, the number of cinemas that offer these new types of experiences grows globally every year. 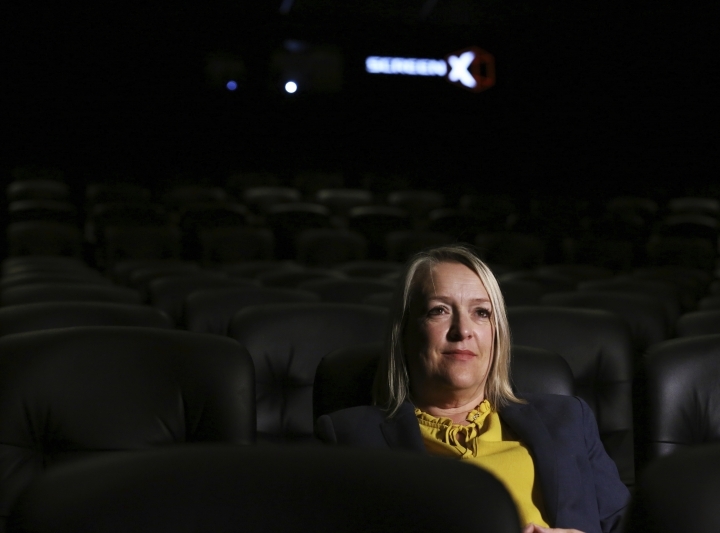 "We're really confident that by offering customers as much choice as possible that it's going to bring people into the cinemas," says Kelly Drew, an operations director at Cineworld.